These baskets add to the existing range of test tube baskets. The Additional feature of these baskets in the lid that has been provided to keep the apparatus placed in it more secure. Moulded in PP these baskets are autoclavable, unbreakable & non-corrosive. 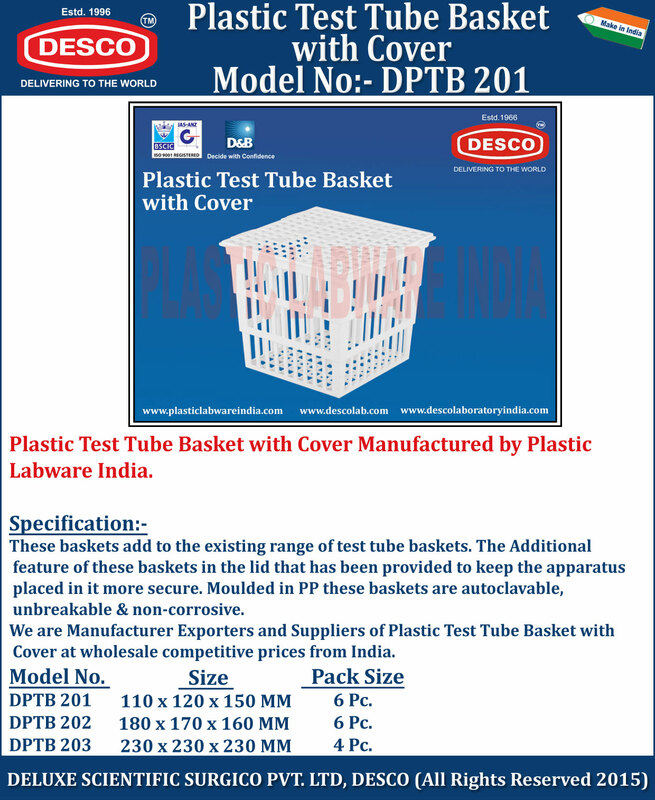 We are Manufacturer Exporters and Suppliers of Plastic Test Tube Basket with Cover at wholesale competitive prices from India. DPTB 201 110 x 120 x 150 MM 6 Pc. DPTB 202 180 x 170 x 160 MM 6 Pc. DPTB 203 230 x 230 x 230 MM 4 Pc.